Rats and toilets...I didn't know it could actually happen! 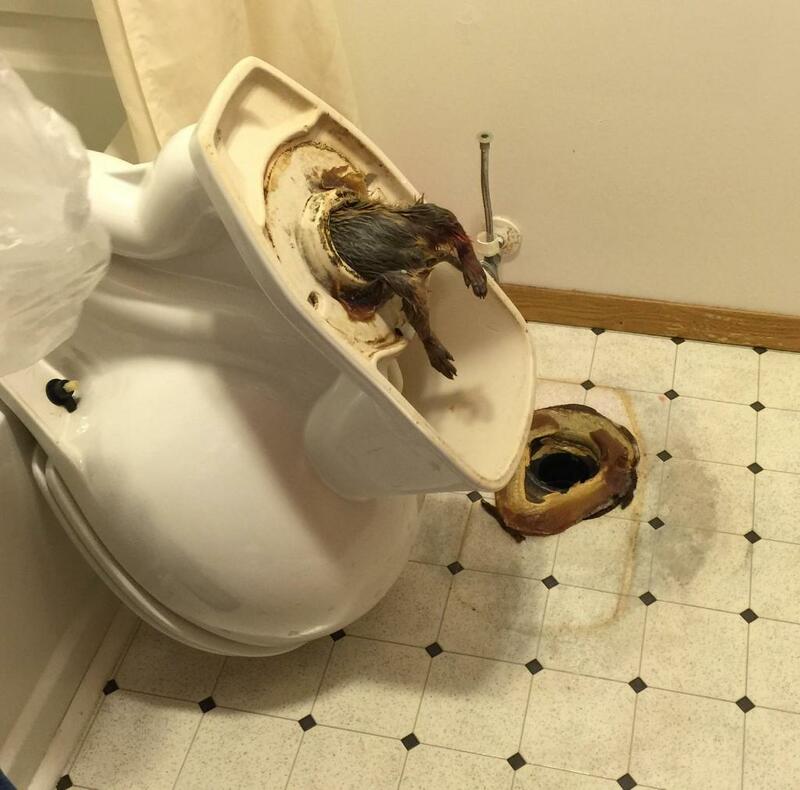 Subject: Fw: Rats and toilets...I didn't know it could actually happen! City dwellers, check your toilet before you sit down. It sounds like an urban legend, but rats actually do manage to crawl up from the sewers and into unsuspecting residential toilets. In Portland, Oregon, one pest control company says it gets ten to 15 calls a year for rats in toilets, and it’s easy to speculate that the numbers are higher in cities like New York. This National Geographic video explains how rats climb into your toilet. Watch Video. First, rats are very good swimmers. We’re talking about the species that’s been finding its way aboard ships for as long as we’ve been building them, after all. Toilets are no big deal by comparison, especially for animals that can tread water for three days and hold their breaths underwater for three minutes. Narrow pipes won’t stop them, either. Rats’ ribs are hinged at the spine, so they can collapse themselves to fit a narrow passage. If a rat’s head can fit, the whole rat can fit. And, of course, drain pipes can be convoluted, but these are rats. Mazes are their specialty. We can’t win.